I love smoothies! You can toss just about any combination of fruit into a blender and turn it into a refreshing treat. Smoothies are a quick breakfast option or a delicious morning or afternoon snack. I love the tropical sweetness from the pineapple and mangos in this smoothie, it’s easy to forget that this drink is actually healthy! 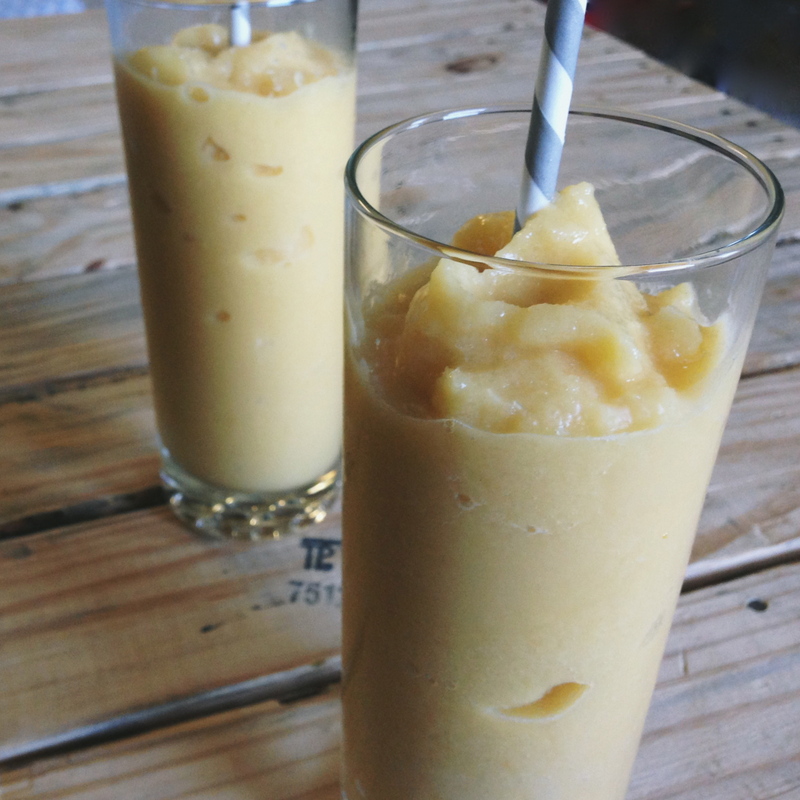 I used frozen pineapple chunks for this recipe to get the icy coldness of a smoothie without adding ice. I’m a little addicted to vanilla almond milk, but you could use the unsweetened kind or regular milk instead! Slice mango in half and scoop half of the fruit into blender. Add pineapple and almond milk and blend until smooth. If smoothie isn’t quite sweet enough for you, drizzle in a little bit of honey and blend again, just until combined. What is your favorite smoothie flavor combination? Yum! I love pineapple and mango – this looks right up my alley. Have you ever tried adding spinach to a smoothie? If you can get past the color, you really can’t taste it, and I love the idea of getting a vegetable in at breakfast time! I have had green smoothies with spinach, but I’ve never made one myself. I must try it soon! 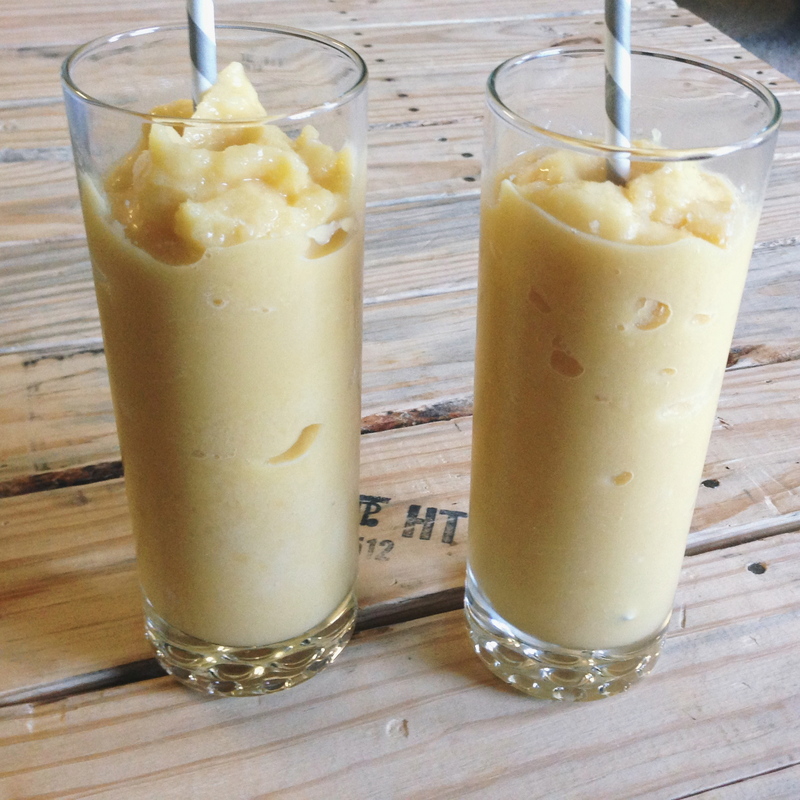 Pingback: Frozen Cocoanut Smoothie from Venezuela…………..